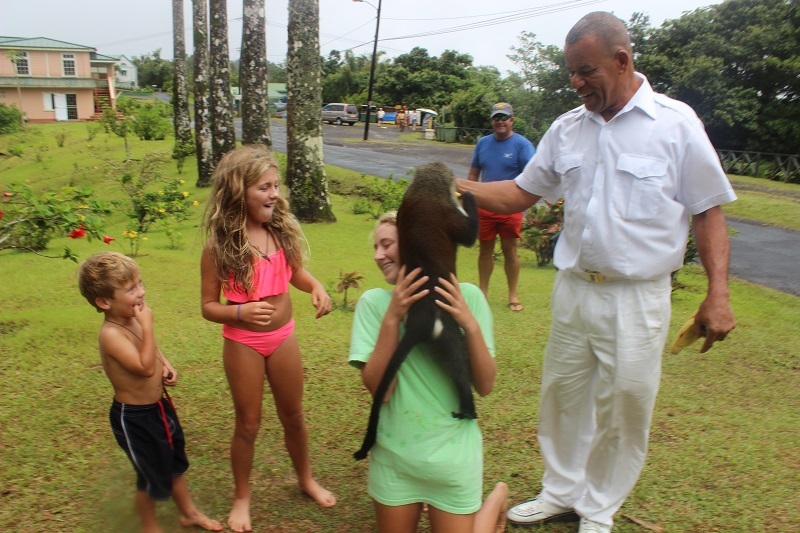 Chic Family Travels just returned from a week long vacation in Grenada at Spice Island Beach Resort. 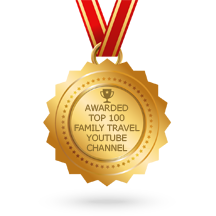 If you know us personally or simply follow our travel blog, then you already know that we are not lazy travelers. 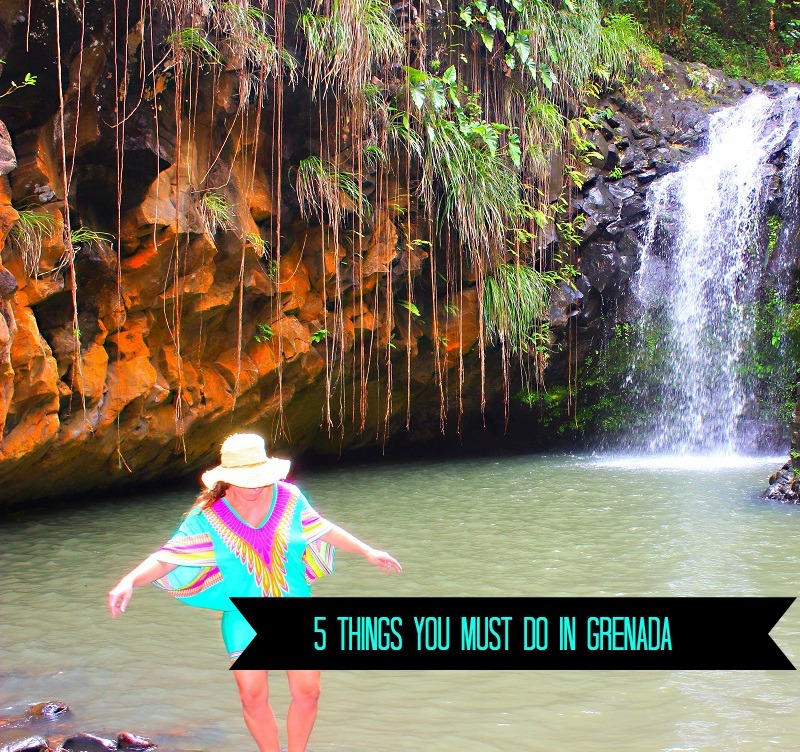 We are always looking for the best things to do & our trip to Grenada was no exception. 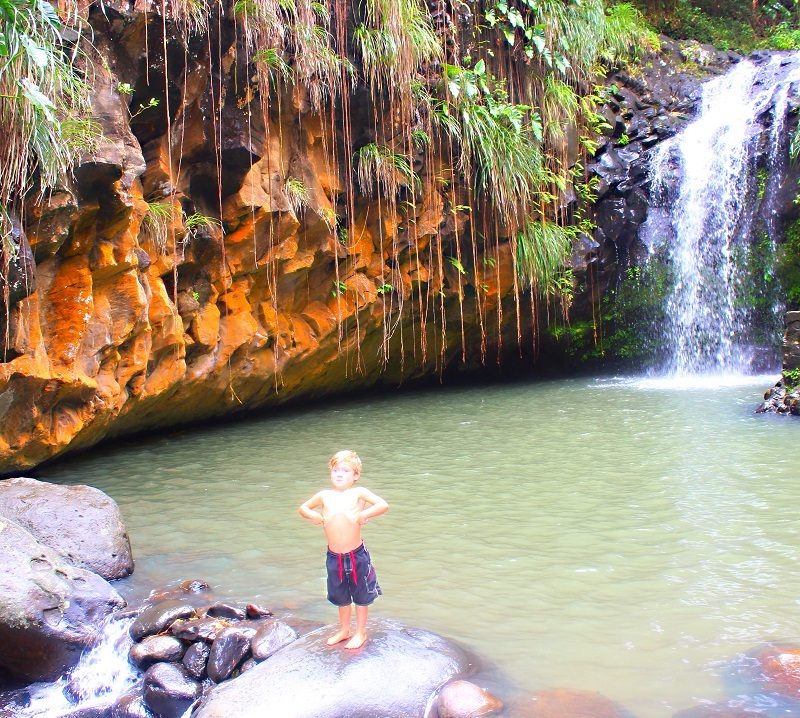 If you are a hiking enthusiast, then you will love this rainforest hike to the seven sisters waterfalls in Grenada. 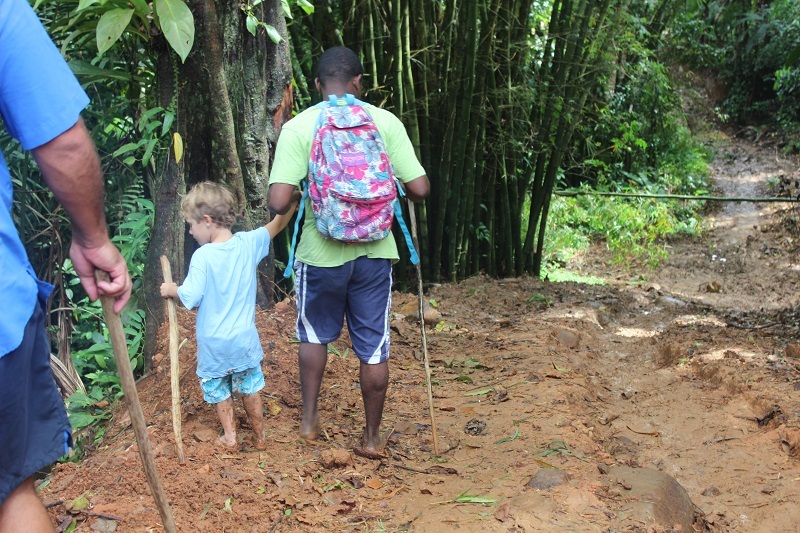 The hike is not necessarily difficult, but it is very very MUDDY! 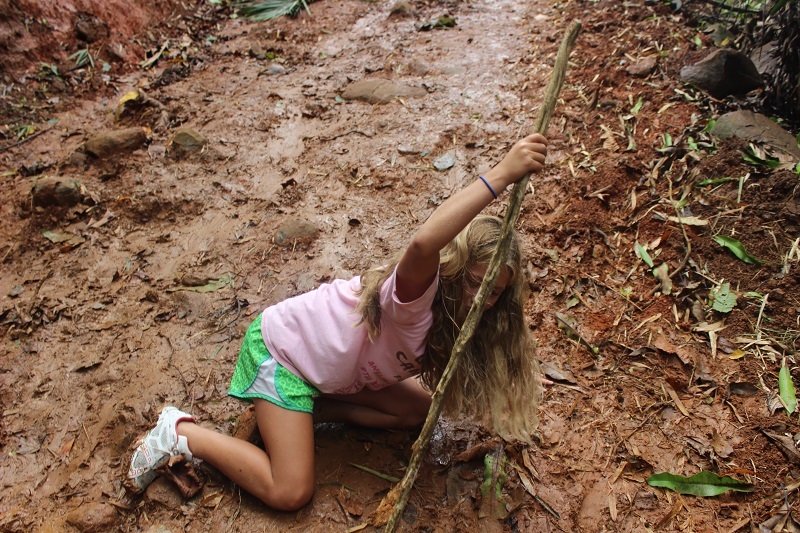 In other words, there is a lot of slipping and falling involved in this hike. With that being said, we took all 3 of our children and even the 4 year old made it just fine. On a side note, we met a local by the name of Warren who helped us along the hike. He is known for diving the falls, and he is a gem! 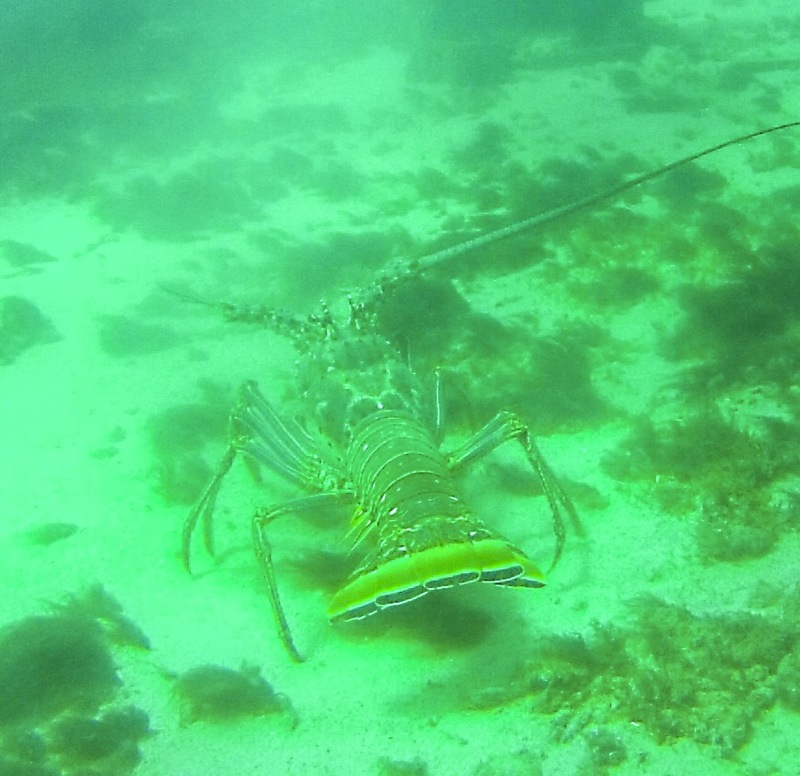 He made our day, and even held Murray’s hand in the steep parts. If you meet Warren at the Falls, please remember that he deserves a nice tip and tell him that I sent you! First of all, the hike was beautiful since it is situated in a rainforest. 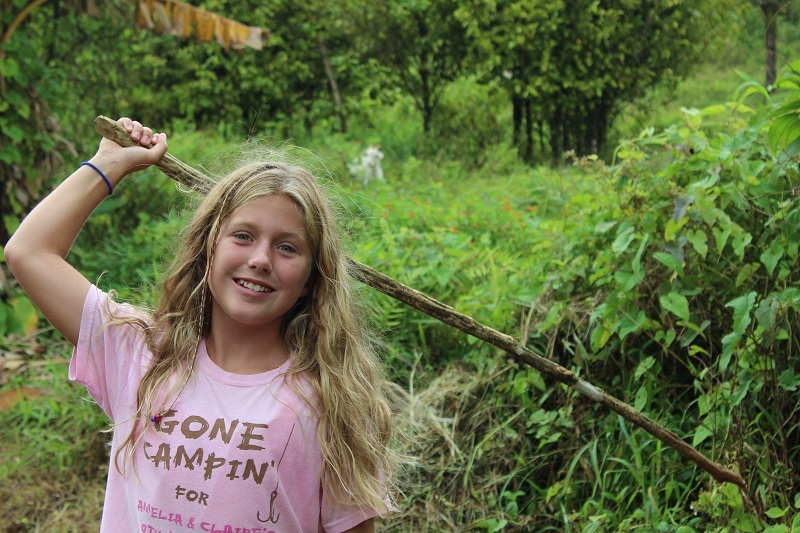 The rainforest has an abundance of vegetation, fruit, and wild life (note the photo bomber in the photo below). However, the real reason you made the 45 minute long hike is to see the seven sisters waterfall and it will not disappoint. 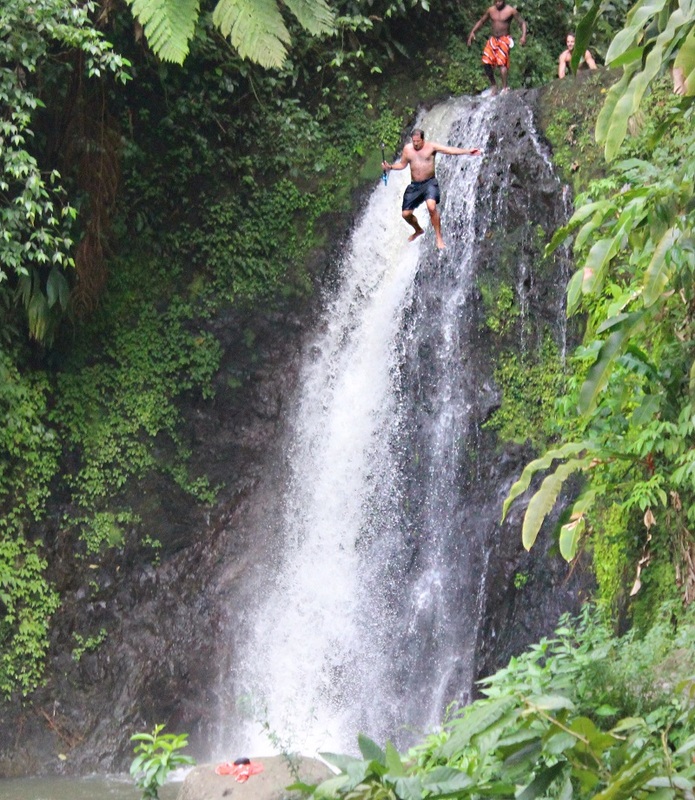 For the true adrenaline junkie, you can actually jump the seven sisters waterfall. On a side note, we would recommend that you go with Warren. There are a lot of tips and tricks to not only the jump itself, but also getting there. Trust me, we know! For the younger hikers or those who are afraid of heights and/or death (insert my name), there is a smaller 20 ft waterfall to jump. 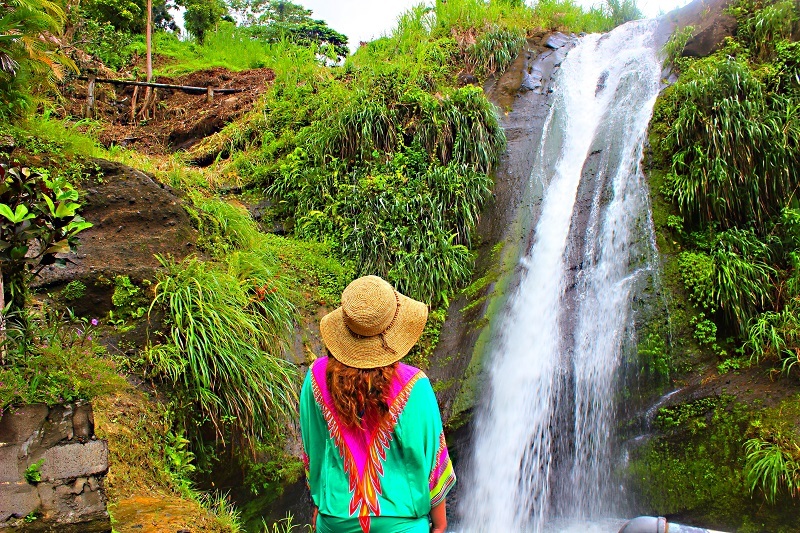 There are 7 waterfalls in all as the name indicates. However, we did not make it past the first one. From what we are told, the first waterfall is the largest of the seven. 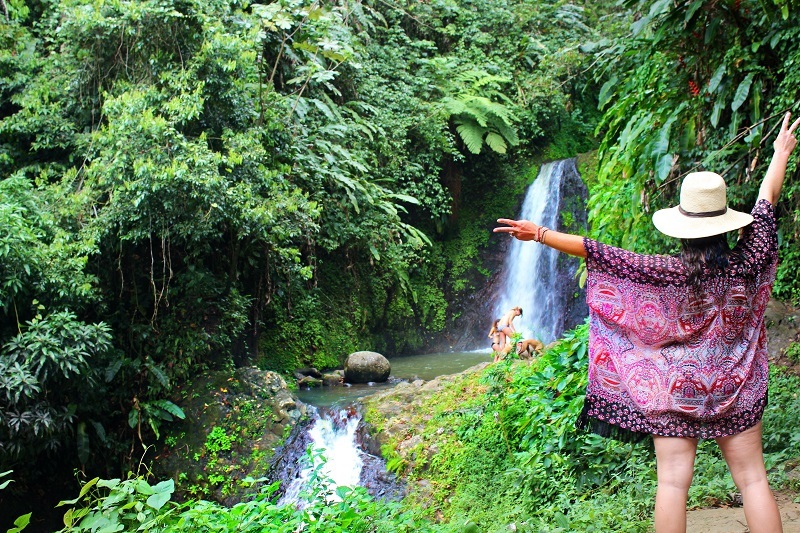 Just around the corner from the seven sisters waterfall is the “public” rainforest area where the Mona Monkeys are known to reside. 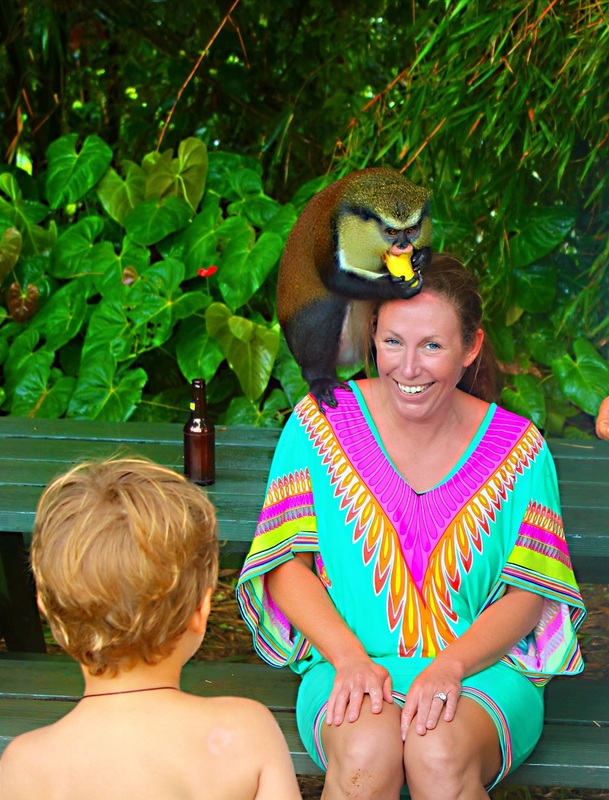 The real secret to finding a Mona Monkey, who live in rainforest, is to take an island tour with Mandoo. Mandoo, otherwise known as “Mr. 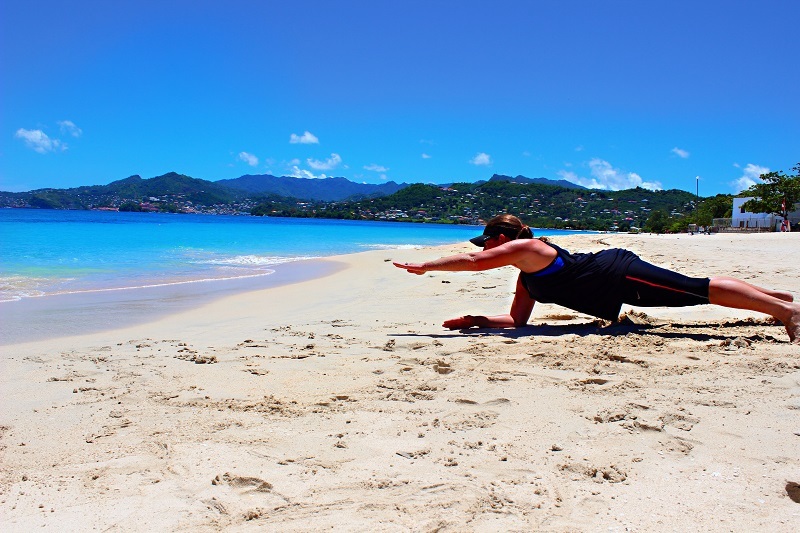 Grenada,” came highly recommended by Spice Island Beach Resort. Come to find out, Mandoo has a special call he makes to the Mona Monkeys in the rainforest. Mandoo explained that he has created a relationship with the Monkeys over the years, and they know his voice and the call. He was right. 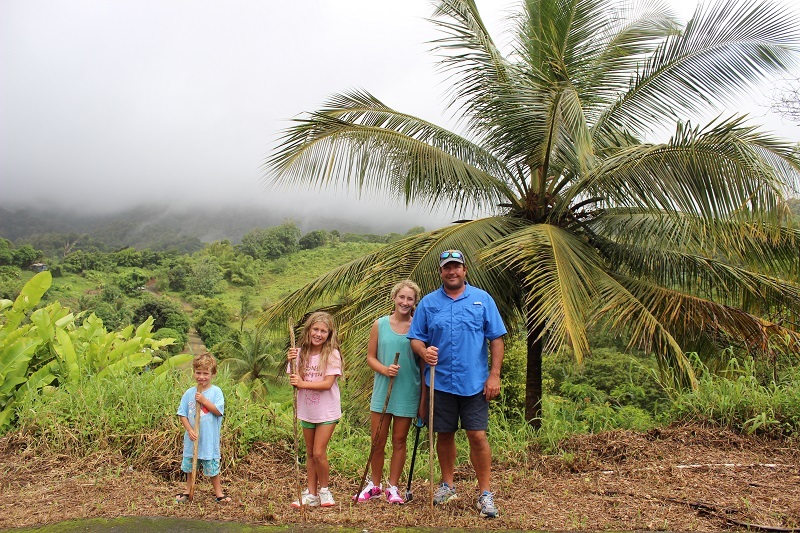 He gave the call for about 15 minutes with no monkey in sight, but eventually one of these guys came out for the coveted bananas he brings them. 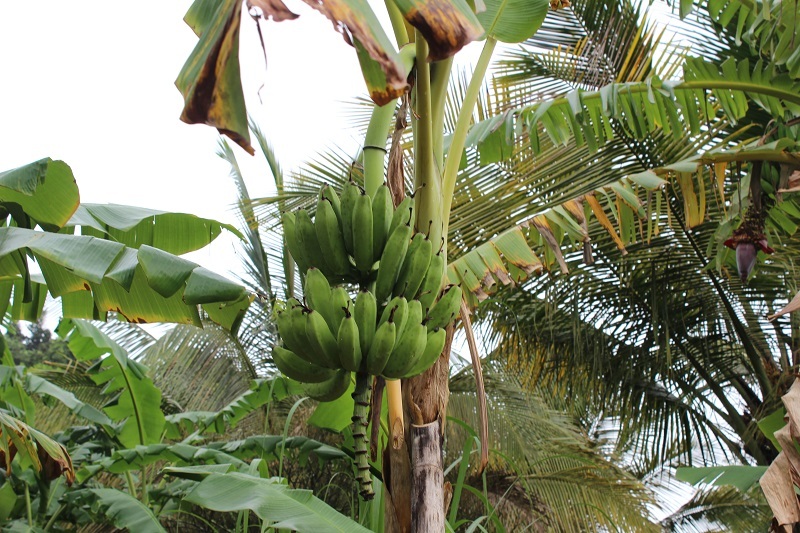 Mandoo literally made 3 stops along the way to find the “right” banana for his monkeys. The stops were not grocery stops, rather side of the road stops 🙂 We loved it. 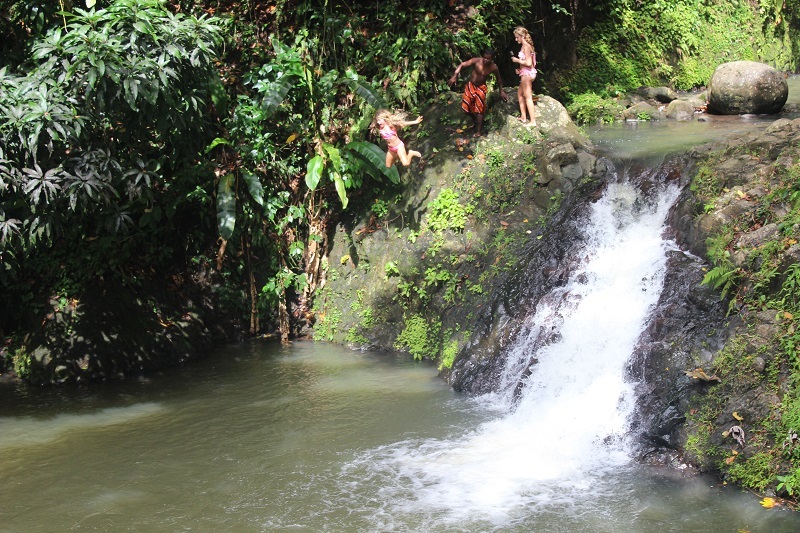 Annandale and Concord Waterfalls is a great thing to do in Grenada for those who cannot hike, because you can drive right up to these waterfalls. 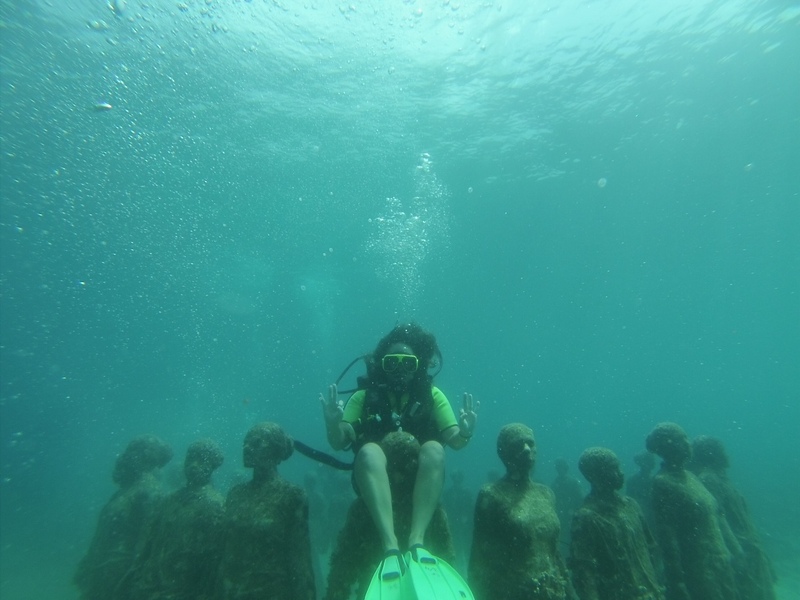 I was beyond excited to dive the Grenada underwater sculpture garden, and it was just as cool as I imagined it! 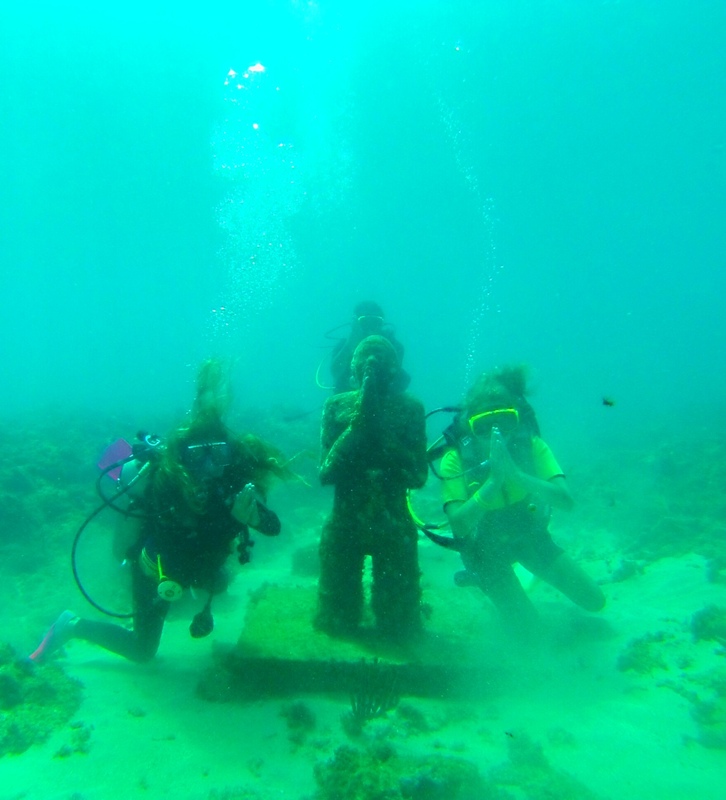 The sculpture garden was Claire’s first “real” dive, and it was perfect for us because it is a shallow dive at maximum depth of 40ft. There is also plenty of fish at the Grenada sculpture garden to see while on this dive. 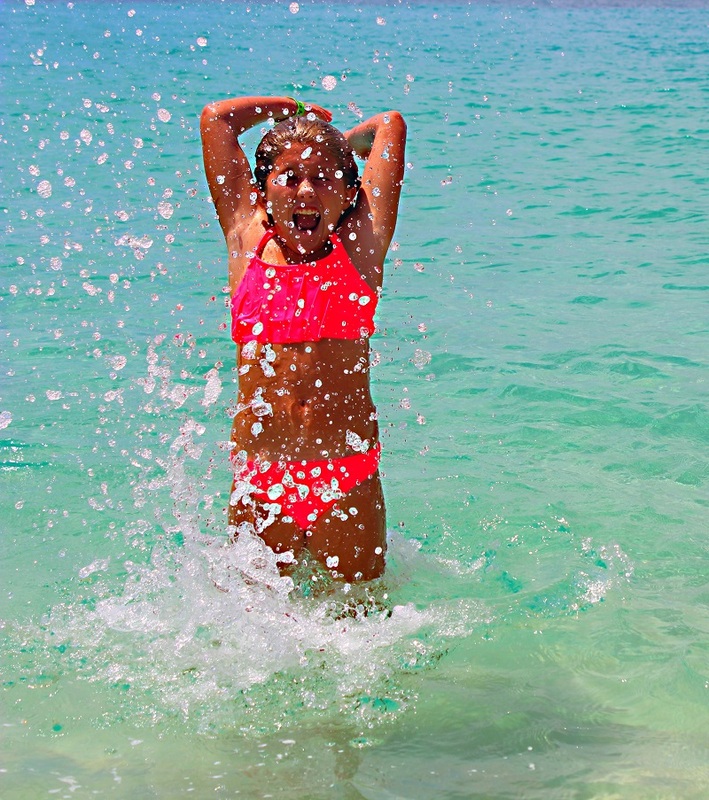 After all this activity, you will need a day to relax at the 2 mile long Grand Anse Beach! There are not many beaches in the Caribbean that are as beautiful and long as Grand Anse Beach in Grenada. It is the perfect beach to play, go for a jog or simply relax. We did them all. Spice Island Beach resort is located directly on Grand Anse Beach so we got to enjoy the beach daily. Nonetheless, Grand Anse Beach is a public beach so anyone can claim their piece of paradise for a day. If you get hungry while hanging out at Grand Anse beach, drop by Spice Island Beach Resort for an unforgettable meal! If you have been to Grenada and have a suggestion for great things to do in Grenada, then please leave a comment! Also, don’t forget to check with Trip Advisor for discounted hotel Rooms in Grenada! 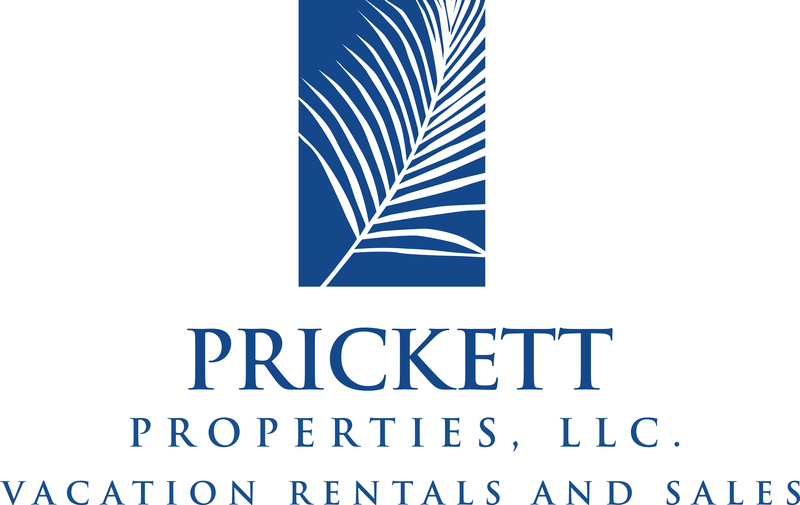 Thank you Ms. Prickett for coming to our lovely island and for writing quite a stunning piece on it. We look forward to your other visits in the near future. P.S one other thing to do next time your here is the leather back turtle watching at the Levera beach located in the north of the isle. It is an absolutely amazing experience.